If your Incline Village, Nevada, area doctor has told you that you need to have an MRI performed, you might be wondering what that involves and how it relates to your treatment. Doctors use MRIs to obtain detailed images of the inside of the body. This helps them to diagnose various conditions, including bulging or herniated discs, pinched nerves, and spinal stenosis. MRIs are similar to X-rays, but they’re capable of producing much clearer images of organs and soft tissue. Many doctors also prefer MRIs because, unlike X-rays, they don’t require patients to be exposed to ionizing radiation. During an MRI, you’ll have to lie very still within the cylinder-shaped machine while the scan is being performed. 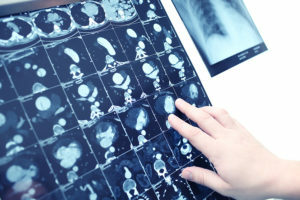 The length of the scan will vary depending on the part of the body being examined and the type of MRI being performed, but scans often take somewhere around 45 minutes to an hour. If you’re claustrophobic, the thought of having to remain enclosed within an MRI machine for a relatively extended period of time may be concerning. Fortunately, you have an alternative. Tahoe Fracture & Orthopedic Medical Clinic is proud to make open MRI technology available to patients in this area. Our open MRI machine allows you to undergo the scan while positioned on a wide, rotating table. This is also a great option for pediatric patients who want to hold onto a loved one’s hand during the scan, as well as larger patients who might have trouble fitting into the traditional MRI machine. If you’re interested in having an open MRI performed at one of our convenient locations, please contact Tahoe Fracture & Orthopedic Medical Clinic today. We proudly serve residents of Incline Village, NV, and surrounding areas, and we look forward to working with you.